News: AAS Released String Studio VS-3 Physical Modeling Synthesizer! HomeNewsSoftwarePluginsApplied Acoustic Systems (AAS) Released String Studio VS-3 String Oscillator Synthesizer Plugin! 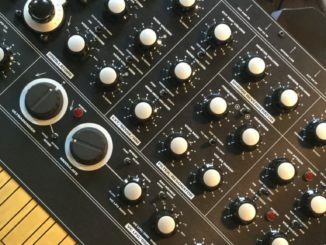 AAS String Studio VS-3 is a major upgrade of the unique sounding string oscillator Synthesizer that brings now a 2-voice multi-timbral engine, many new signature sounds an improvements! Applied Acoustics Systems has released today the third generation of the excellent String Studio VS-3 Synthesizer plugin for PC & Mac. String-Studio VS-3 is now a 2-voice multi-timbral synth that features new performance modulators for complete new sounds, new presets and many improvements. A nice update that does not look like much at first glance, but especially the new multi-timbral engine brings a lot of new sound design possibilities not available in v2. 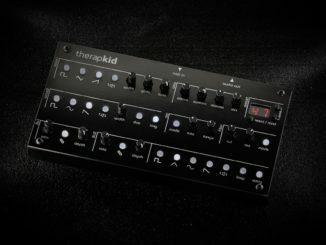 Looking forward to play around with this unique Synthesizer plugin. 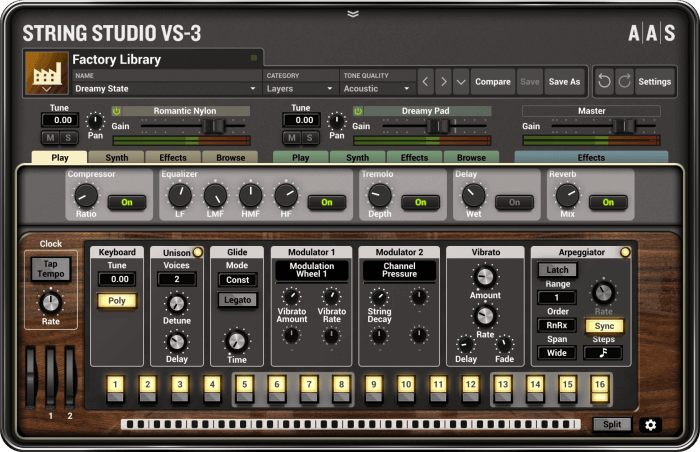 String Studio VS-3 is a Synthesizer in which a collection of unique string oscillators replaces the traditional VCOs, DCOs, and operators as the main sound source. 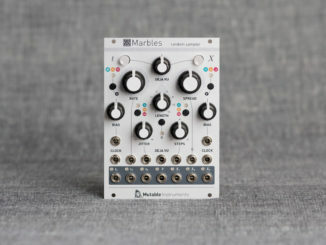 Consisting of picks, bows, and hammers interacting with a modeled string, these oscillators offer a special blend of modern and creative synthesis. Augmented with a soundboard, classic filters, an envelope generator, a LFO, and studio-quality effects, String Studio VS-3 proposes a brand-new path in the quest for tone. The new version is all about adding new dimensions to the distinctive sonic signature of String Studio,” says Eric Thibeault, product designer at Applied Acoustics Systems. Two-voice multitimbral: Two independent timbres are combined (either stacked or split) to create performance-friendly, texture-full, and spacious sounds. Modulators: Two performance modulators per layer respond to user-defined MIDI controls. Each and every sound features effect and morphing assignments that can be played in real time for enhanced expressiveness and sonic dimension. 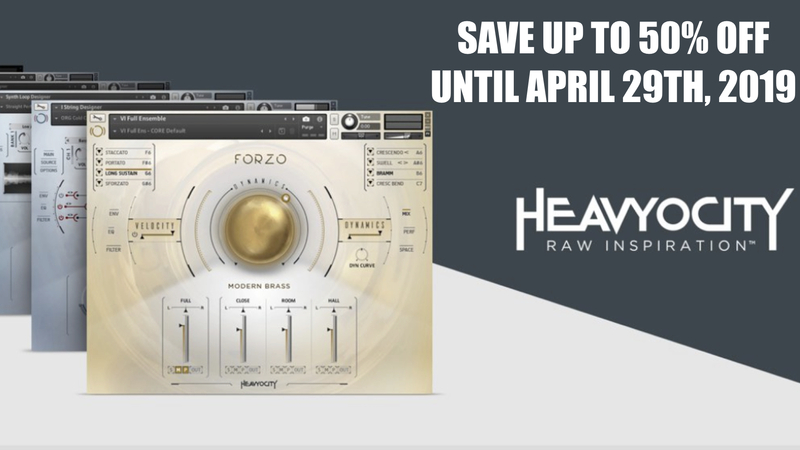 Updated Factory Library​: Each and every sound was fine tuned with a consistent gain-stage, unity-gain effects, better dynamics, and compelling real-time sound transformation assignments. Signature Sound Packs: Four brand-new signature sound packs with 227 new sounds created by top sound designers Richard Devine, Christian Laffitte, Thiago Pinheiro, and Daniel Stawczyk. Improved sound browser with category sort. Shortcuts to categories and tone qualities provide a quick way to jump right where you need to be. Improved filters can now put up with extreme modulation while remaining totally musical. Multi-Effects Module now sports reverb, equalizer, compressor, and guitar amplifier processors. Compatible with String Studio VS-2 sounds. Support for the Scala scale file format as well as reference note frequency tuning for microtonal music making. 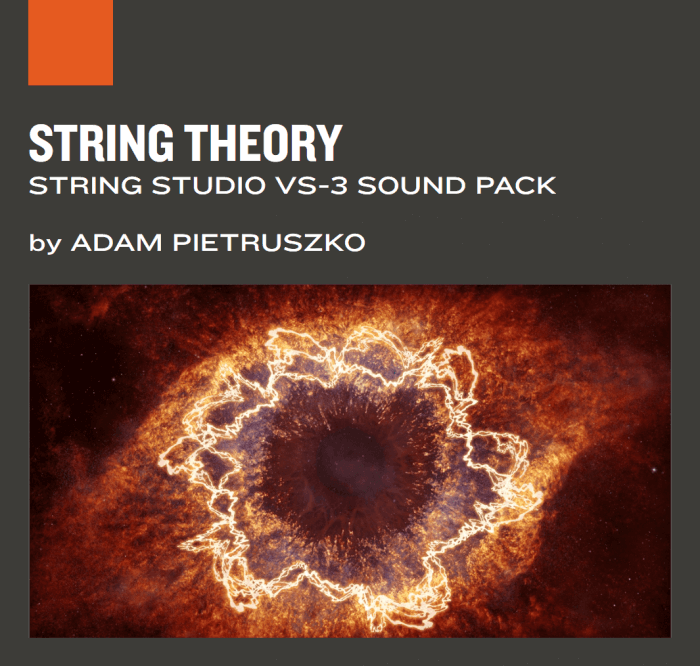 Also new is String Theory, a new sound pack by sound designer and audio engineeer Adam Pietruszko, featuring 110 presets for String Studio VS-3 and the free AAS Player. AAS String Studio VS-3 is available now at a suggested retail price of $199 USD. Upgrades for String Studio VS-1 and VS-2 registered users are priced at $79 USD. 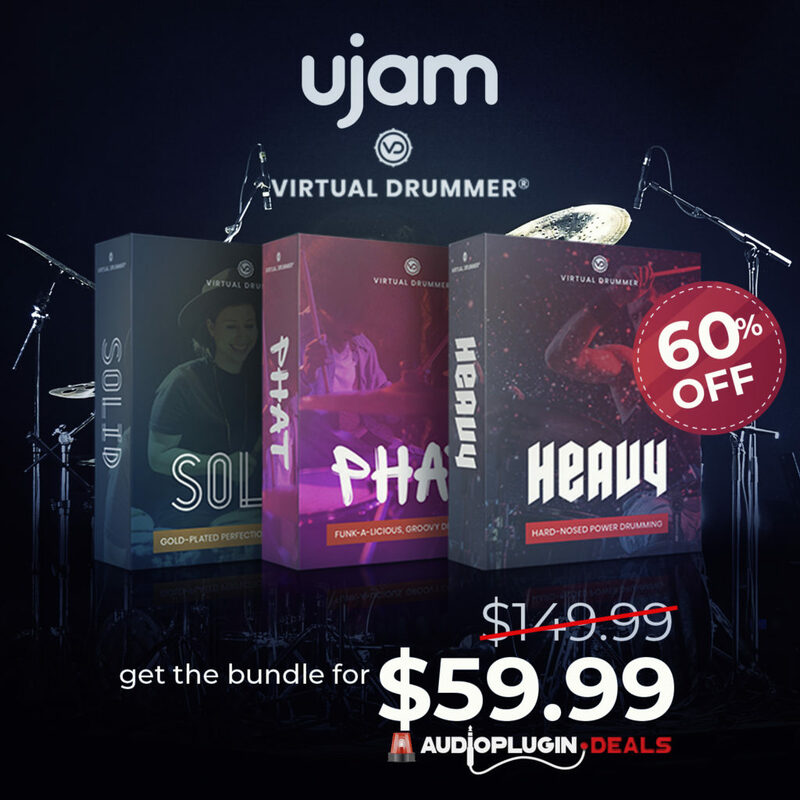 Until January 21st, 2019, all the String Studio VS-3 products are offered with an introduction discount of $50% and included the newly released String Theory sound pack, an extra $39 USD value. 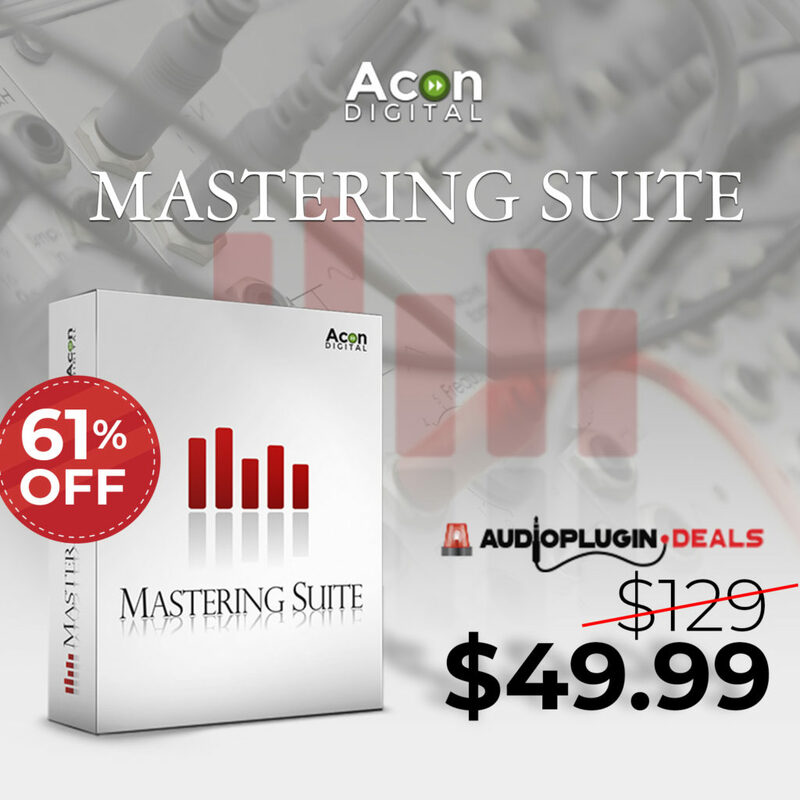 The String Studio VS-3 plug-in $99 USD. 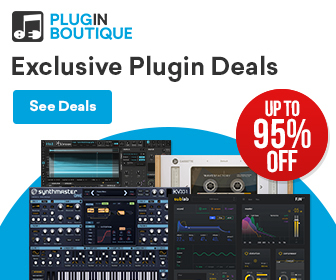 The String Studio VS-3 +PACKS bundle $149 USD. The String Studio VS-3 Upgrade + String Theory for String Studio VS-1 and VS-2 users $39 USD. All String Studio VS-3 sound packs $19 USD.